Home » WOD Blog » Tuesday. EIE Challenge Tip of the Day 23: Attention all you chain-gum smackers! Chewing gum all day sends goofy signals to your body (it actually stimulates the digestion process and your body is preparing itself for food). Avoid getting that sneaky dose of sweetner and drink some water instead! 3X1 @ 80% – rest 30 seconds. Notes: Sets at each percentage should be performed without re-racking the barbell. Take 90 seconds rest between each percentage. 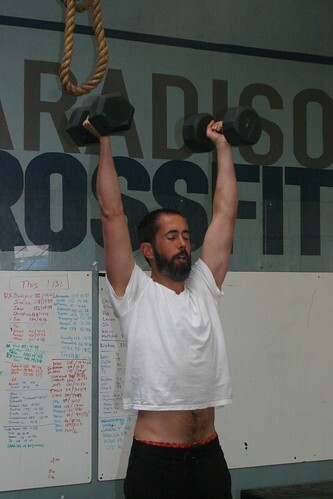 Newer athletes that don’t know their percentages, pick a moderate weight you can perform 5 reps with. Notes: Partition reps as needed. Use dumbbells as needed. Frisco demonstrates the optimal resting position. Glassman…..a “Game of Thrones” fan? “If a workout involves squatting, throwing, and climbing, in a single high intensity effort, its Crossfit. Similarly, if a workout has you pole-vaulting across a mote of crocodiles, scaling a castle wall, and wrestling dragons, this too is Crossfit. If it looks like Crossfit, it’s Crossfit.